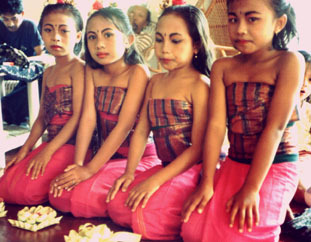 This page is for links to other groups interested in Indonesian culture. This page is for information and links to organisations which provide aid to people in need in Indonesia. A food security non-government organisation working in villages in Bandung and West Java. Distributers of the movie Legong: Dance of the Virgins shot in Bali in 1933. Promotes art alliances between Asia and Australia by providing residences, touring exhibitions and promotional help. has descriptions, audio, and video files of several instruments. Boat Builders helping East timoreses to help themselves. for semi-arid, tropical & urban areas in sustainable food production & resource management. Education Queensland "The Learning Place". A place for every Indonesian teachers everywhere else to join ,discuss , share news and resources and chat. To access " The Learning Place". 2. Scroll to: Education Queensland " Learning Place". 3. Click and on the left side are the communities which are active . 4. Go to LOTE Community 5. Click Bahasa Indonesia Community.